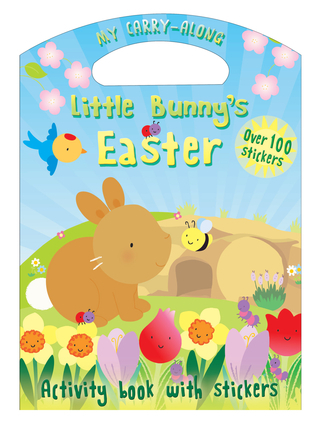 An endearing Easter bunny-themed book containing games, puzzles, crafts and stickers. Keeps little hands busy during the Easter holiday season and offers an introduction to the reason for celebrating at this special time. Includes a retelling of the Easter story and a variety of crafts. Christina Goodings is the pseudonym of an in-house author.Cathy Hughes is an experienced illustrator for children's publishing, especially the pre-school and primary market - picture books, activity books, sticker and colouring books, finger puppet books, children's magazines and educational books!